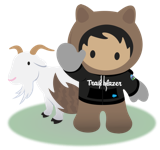 This sits as an umbrella over many of the other granular OCR requests - the ability to trigger Apex and Workflows from OCRs, the ability to customize the OCR as if it were any other Salesforce standard Object, and a number of other use cases that have been requested individually over time. This is also critical to nonprofits using the Nonprofit Starter Pack: While Salesforce.com offers Person Accounts for understanding individual behavior in a B2B context, the Nonprofit Starter Pack has historically opted for an Account/Contact model of some nature (Individual “bucket,” One-to-One, and Household Account). The problem is that assigning donation credits to people as an individual is relegated to the Opportunity Contact Role Object. The Nonprofit Starter Pack is core to how many, if not the majority, of nonprofits implement Salesforce, and has existed in some form since the 2008 era. Using OCRs for donation accreditation is itself a customization of the base Salesforce platform, however, the decision to do so was made in an era when the base platform wasn’t nearly as extensible as it is in 2015. OCRs have become the de facto standard for donation handling for nonprofits, and require special consideration of their needs in platform review decisions that make it into the Seasonal Releases. If not just for the myriad of related for-profit requests, but for the explicit needs of nonprofits. I agree. I've read through your comments and I feel your frustration with the limitations of this object. Over the years the team has looked in different ways that we can deliver on this idea and unfortunately there are no simple solution. OpportunityContactRole wasn't designed in a way that makes it easily extensible and as the Salesforce product/ecosystem has grown, it has added to the complexity of making this enhancement. For the past few years our focus has been on Lightning, but we're nearing the point where we can take on ideas like this. We are going to start requirements/design on an Opportunity Contact Roles uplift and will make every effort to tackle this idea in the next year (safe harbor). Any new update from Salesforce? My client requires the ability to Trigger off the OpportunityContactRole object. Please enable this or suggest other ways to achieve similar. Can't understand why there is no common set up available ("Account Contact Relationship" versus "Contact Role" in Opportunity). Users have to get the same functionality at any object. They are very confused! is it getting delivered soon? We were hoping to add a simple checkbox field to Opportunity Contact Role object, but alas it doesn't look like that's an option. Will find another way for now, but hope to see this idea pushed forward by salesforce soon! Global search needs to include contact roles! Please add ability to use process builder to create contact roles. "For the past few years our focus has been on Lightning, but we're nearing the point where we can take on ideas like this." Customers want basic functionality, Salesforce wants Lightning. When will they dump that slow, cumbersome UX? We need to be able to customise the page layout of the Contact Roles. Pardot users need this too! Multi-touch attribution and opp pipeline nurturing run on opp contact roles and without the ability to mass add or see contact job titles, adding contact roles gets very low adoption from sales. I couldn't agree more, and was VERY surprised to find out OCR wasn't getting this sort of respect already! I was trying to write a simple trigger for a client to populate a field when a Primary OCR was created and found it couldn't be done! This is definitely something that would be super useful for my team. It helps bridge the gap between sales and customer success and helps our Salesforce instance become more efficient.